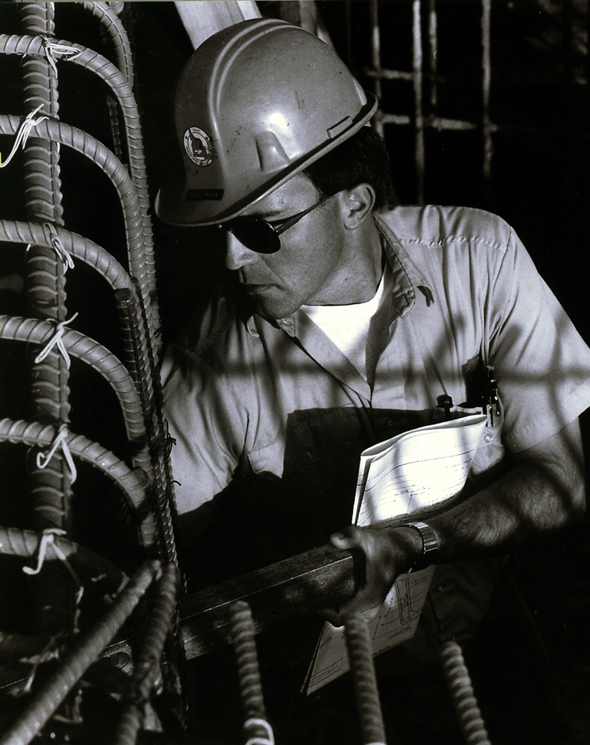 An inspector looks at rebar as part of an Idaho Transportation Department project. You’ve scoped out where you’re going to take that winning transportation photo. You’ve got your plan on how to take pictures safely and efficiently. You’ve got your equipment ready and your battery charged. What about the model release? Since this is a photo contest all about people (after all, it’s called “Faces of Transportation”! ), everyone in your photos whose face is clearly recognizable must sign a model release. 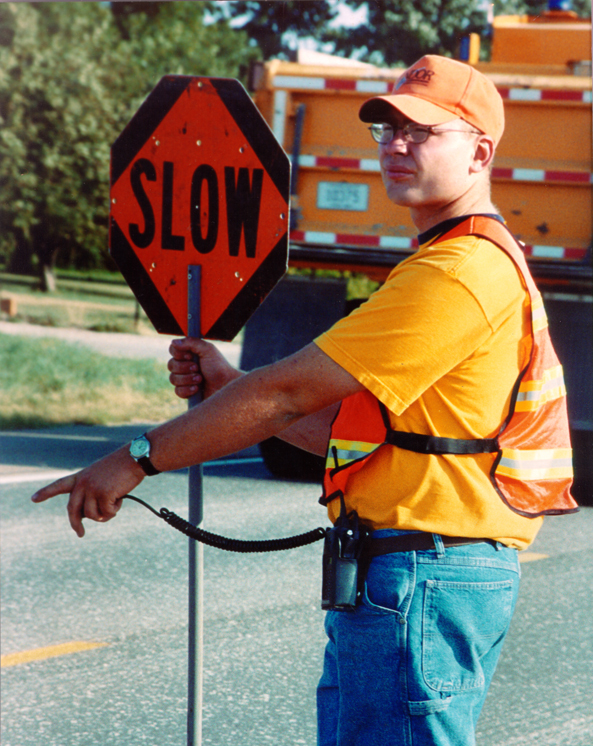 This protects all involved (the subject, you, and AASHTO) by giving us permission to use their likeness in books, reports, brochures, web sites, and many other publications. Read up on the issue in this great article by Better Photo, and be sure to take one or more copies of AASHTO’s model release along with you in your equipment bag. Here’s a very interesting site from the Florida Department of Transportation that really gets us inspired! Transportation photography offers such a wide variety of subjects that even back then, with bulky, sometimes difficult equipment, photographers got a lot of great shots. Hernando County voters approved a $100,000 road construction bond in August 1925 to provide 75 miles of hard rock roads. 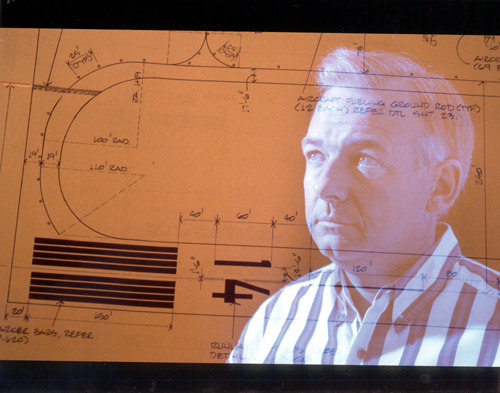 The road bed materials at the time cost $4.60 a ton. 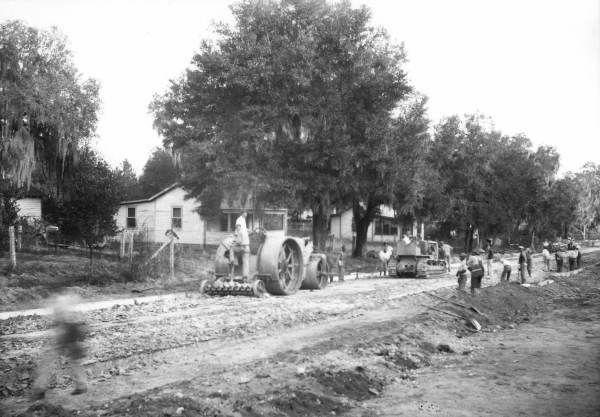 In 1926 a road was prepared between Old Spring Hill Road and Weeki Wachee. Old Hammock Road, seen here in this photo, was improved between Brooksville and Crystal River. 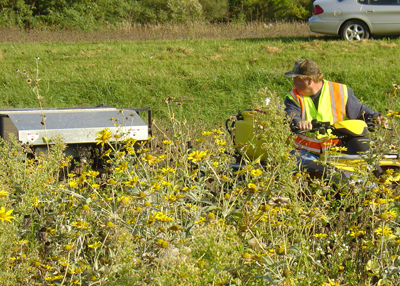 Dan McCarver, of INDOT’s LaPorte District, harvests wildflower seed along US 31 in Fulton County, Indiana. But there are many considerations when taking pictures outside that, combined with the special requirements of photographing transportation, mean some extra effort on the photographer’s part. Read this article from e-How magazine to get some ideas! Sometimes, it can be challenging to take pictures of people at work, especially if they’re working in a dynamic environment like a transportation work site, or on the train or bus. Safety is number one, of course. Proper precautions and planning are essential – as Julie Duewel of the Nevada DOT explained in a recent post. And picking the right subject is crucial. Katy Warner of North Carolina DOT shared that nugget of information just last week. But, how do you take award-winning pictures of people working? Our friends at Shutterbug Magazine have some great ideas. Check it out! To give you an idea of what to photograph, and what might be good to submit, we’re letting you in on the thoughts of some our past award winners and what made a particular photo worth submitting. This week features Katy Warner, the At Work category winner from the 2011 contest. Katy is the photographer for the North Carolina Department of Transportation. Photography is a passion for me, not just a job. I am extremely grateful to be in a profession that is so rewarding. I’m Katy Warner, photographer for the North Carolina Department of Transportation, and I have been working here for almost eight years. I travel across our beautiful state, from the coast to the mountains, photographing projects, employees and events. NCDOT maintenance worker Louis Sandoval. I shot the photo of an NCDOT maintenance worker, Louis Sandoval, that won the “At Work” category. 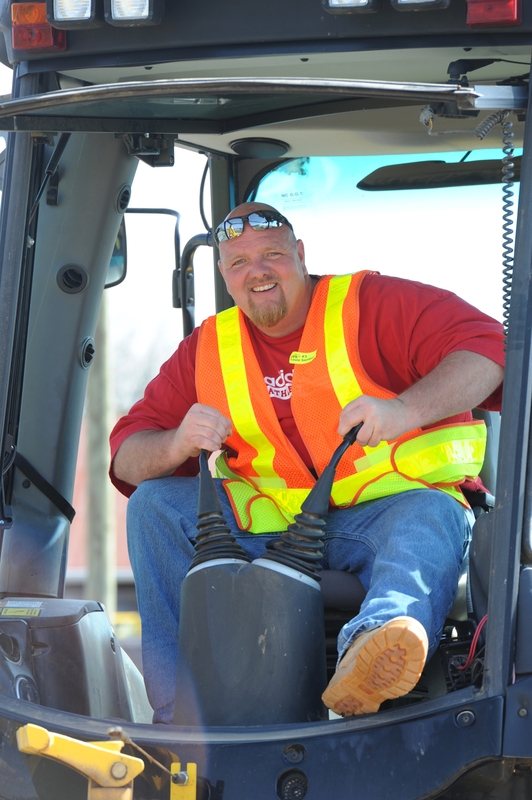 Louie was competing in a test of skill as part of the department’s annual “Road-eo” competition, which honors the most talented maintenance crew in Winston-Salem. I am so pleased to have won with this photo because I feel it really captures not only the essence of Louie, but also the spirit of all of my fellow DOT workers. We are a friendly bunch! This photo is technically a bit more complicated than it looks. It was somewhat challenging to capture a proper exposure due to the reflective vest: you have to remember not to use a flash! I exposed the image with a meter reading of his face instead of the overall scene. If you do not have access to a digital SLR like the Nikon D700 that I use here at the NCDOT, search your camera for the spot meter setting, and target what you would like accurately exposed. I may photograph many images of construction sites and other representative images for the NCDOT, but my favorite photos to take are of diverse folks that work all over the state. Good luck to all with your submissions. I look forward to being inspired again by this year’s group of images.